I first heard of lithium ion marine batteries from watching a YouTube video of Bassmaster Elite Series Pro, Aaron Martens. Aaron seemed genuinely impressed by the batteries and explained many of the benefits. After doing some research, I decided that these batteries were out of my price range ($1,000+ per battery). That was over a year ago and with gas prices pushing $4 a gallon; I was desperately searching for a way to increase my fuel efficiency. Lithium batteries are much lighter than AGM batteries, typically last 3-4 times longer, and fully recharge in as little as 2 hours. I’m a sucker for trying out new cutting edge technologies so this was more than enough for me to justify the higher prices and make the switch to lithium. I decided to purchase my batteries from Smart Battery, LLC (http://lithiumion-batteries.com). 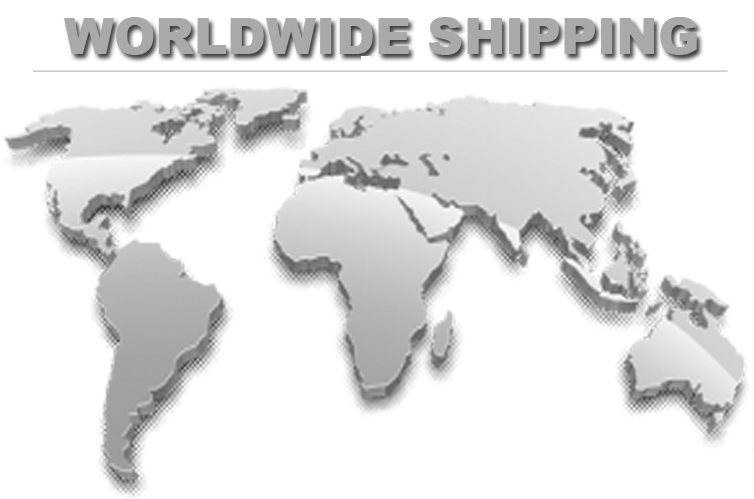 They offer the best prices in combination with the best warranty on the market. Their customer service is also top notch. I sent an e-mail message and received a reply within minutes. Shortly after, my lithium ion batteries were on their way! My previous 36 volt system consisted of 3 Sears Platinum Marine DieHard batteries. My cranking battery was not replaced. Each one weighs 75 pounds for a total of 225 pounds. Add 30 pounds from the Dual Pro on-board charger and the total weight increases to a whopping 255 pounds. The lithium ion battery weighs just 28 pounds for a total of 84 pounds for a 36 volt system. I chose not to mount the charger on-board even though it is much lighter than the Dual Pro. The final weight difference equals 171 pounds! So was switching to lithium worth it? Let’s take it to the lake and find out! Does it float your boat? Since my boat was now 171 pounds lighter I decided to see if it made a difference in how the boat sits in the water. 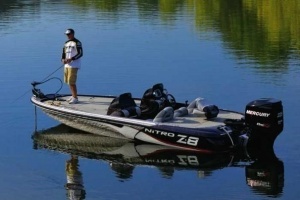 There are claims that bass boats will sit up approximately two inches higher in the water column as a result of the weight reduction. I decided to test this claim. I weigh approximately 180 pounds or about as much as the weight saved by switching from AGM batteries to lithium ion batteries. For this experiment, I sat in the back of the boat where my new lithium ion batteries are located and got my dad to measure the water line on the side of the boat. I then stepped out of the boat and measured the water line again. The results were that my boat with the lithium ion batteries sat approximately 1.5 inches higher in the water column. Of course this is a very simple test, but it does prove that the weight difference will increase how high your boat will sit up in the water column. Top end speed is crucial for beating the competition to the best fishing areas. If you are a tournament angler you know that the best spots are often the most crowded spots. Speed means everything to get to these locations before the crowd arrives. My boat loaded down with two people, AGM batteries, 3/4 tank of gas, full live wells, and a moderate tournament load would peg out at about 69-71 MPH depending upon the conditions. So how did my boat perform with a similar load but with my new lithium ion batteries? Extremely fast hole shot with a top end speed of 74 MPH! The boat consistently ran between 72-73 MPH. You can expect at least a 2-3 MPH increase in top end speed. The gas prices these days are ridiculous! Gas prices are almost $4 a gallon in many parts of the country. On average, I use about 25 gallons of gas per tournament. This equals about $100 of gas per tournament. The best way to improve fuel efficiency is by taking it easy on the throttle, but when you are in a tournament, it’s hard not to run your boat at wide open throttle. I wanted to see if I gained any fuel efficiency at wide open throttle after switching to lithium. I have a mercury smart craft gauge on my boat that instantly tells me my fuel efficiency in MPG (Miles per Gallon). My boat loaded down with two people, AGM batteries, 3/4 tank of gas, full live wells, and a moderate tournament load would get about 2.8 MPG at wide open throttle. A similar load with the lithium batteries showed a slight increase to about 3.1 MPG. This equals about .3 MPG at wide open throttle. I burned 845 gallons of gas last year. My range with my AGM battery set up equaled 2366 miles at full throttle (2.8 MPG x 845 gallons). The lithium ion battery set up increased my range to 2619.5 miles (3.1 MPG x 845 gallons) or 253.5 miles more than my previous set up. This difference is equal to about 82 gallons or $327 of fuel if you average 3.1 MPG over the 253.5 miles. The batteries are marketed to last 10+ years. If they last this long, the batteries will pay for themselves in fuel savings. Switching to lithium has really been an exciting experience. It’s not often that something as cutting edge as this comes along in the bass fishing industry. The results of my testing suggest that there are benefits to switching to lithium. The batteries have performed flawlessly in my testing. They are the strongest batteries I have ever owned and they don’t weaken throughout the course of the day. I cover a lot of water and at the end of the day they still only take 2-3 hours to recharge. The performance of my boat has far surpassed my expectations. It rides and handles like a completely different boat. If you are conscious about your driving habits, you can expect a substantial increase in fuel efficiency. A much quicker hole shot and faster top end speed can also be expected. The only drawback of switching to lithium ion batteries would be the price tag. If you are a tournament angler, the advantages of lithium ion batteries far outweigh the cost. For more information on lithium ion batteries please check out the Smart Battery website at www.lithiumion-batteries.com.